Skellon Studio was commissioned by the St Aubyn Estate and the National Trust to create a new visitor centre at St Michael’s Mount in the Old Barge House on the harbour front. 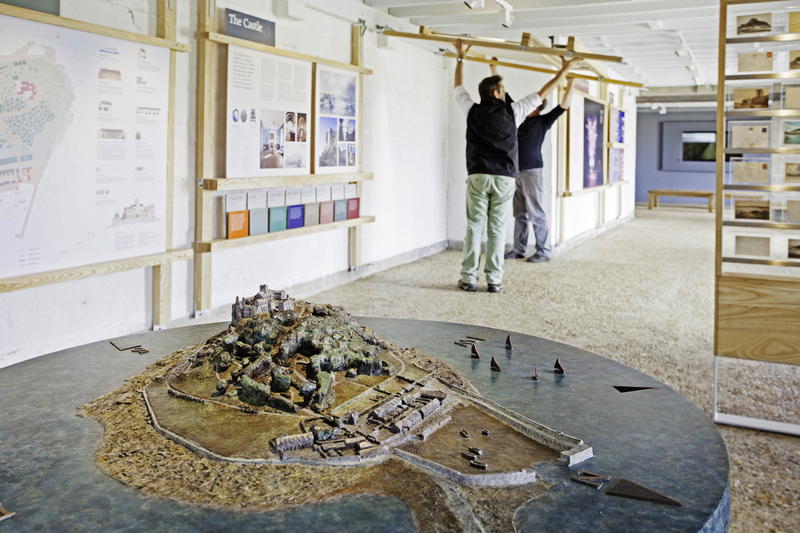 The visitor centre creates a space where visitors are welcomed, orient themselves and plan their visit, learn about the history of the Mount and gain an insight into island life. We also needed to be mindful that the Barge House is prone to flooding! 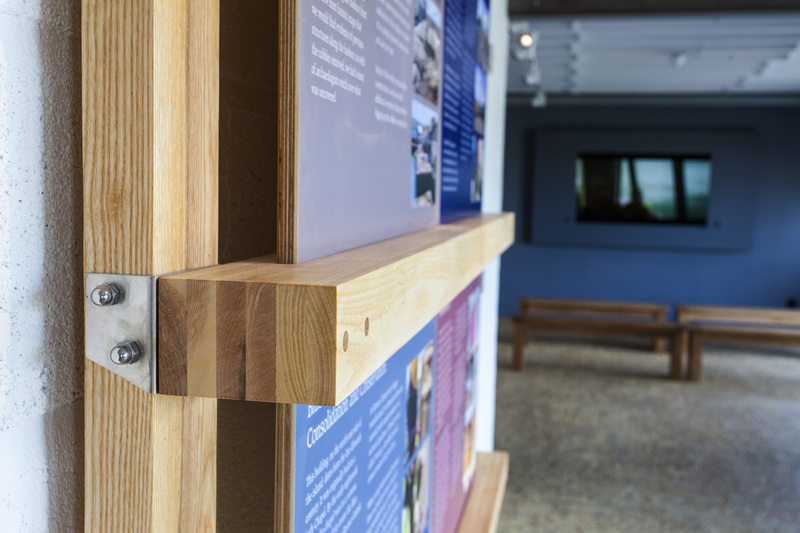 Our solution was a simple, elegant installation that felt at home within the refurbished building. 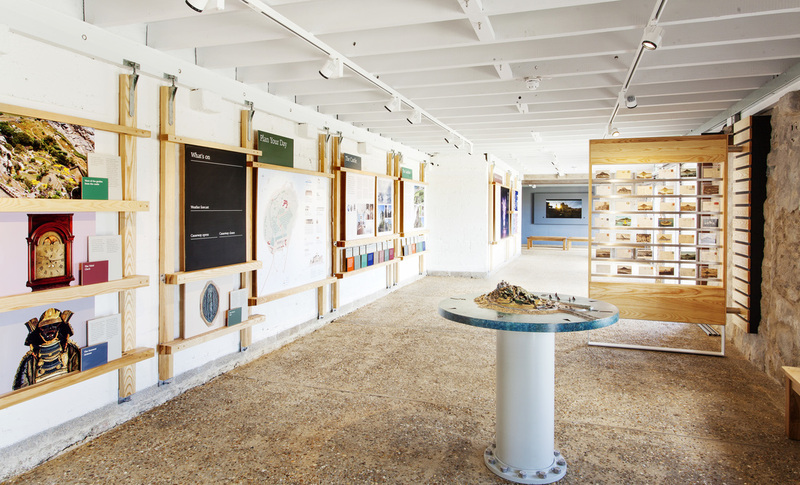 The main wall display consists of a simple graphic presentation of a variety of information about the island and the life of the island community. 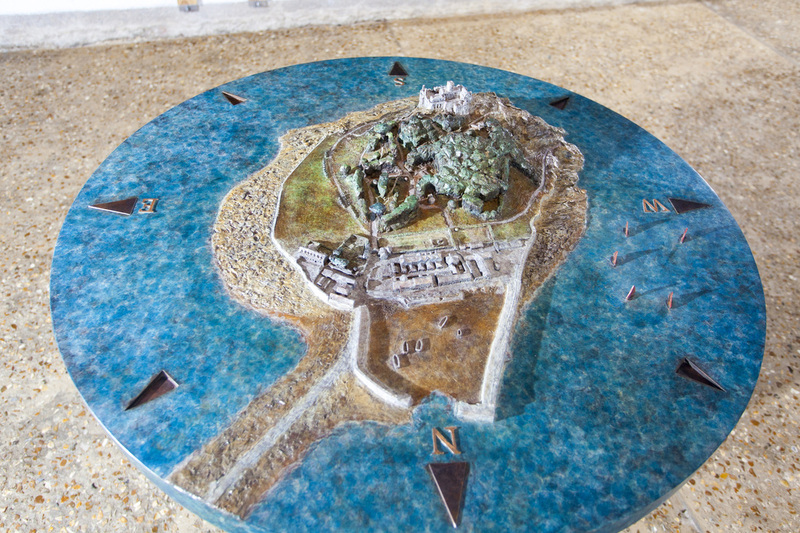 In the foreground to this display, three other evocative displays bring the Mount to life: a display of postcards showing the Mount through visitor’s eyes over the years; a table top model of the Mount cast from copper; and a film that captures the life and seasons of the Mount through a day and across a year. 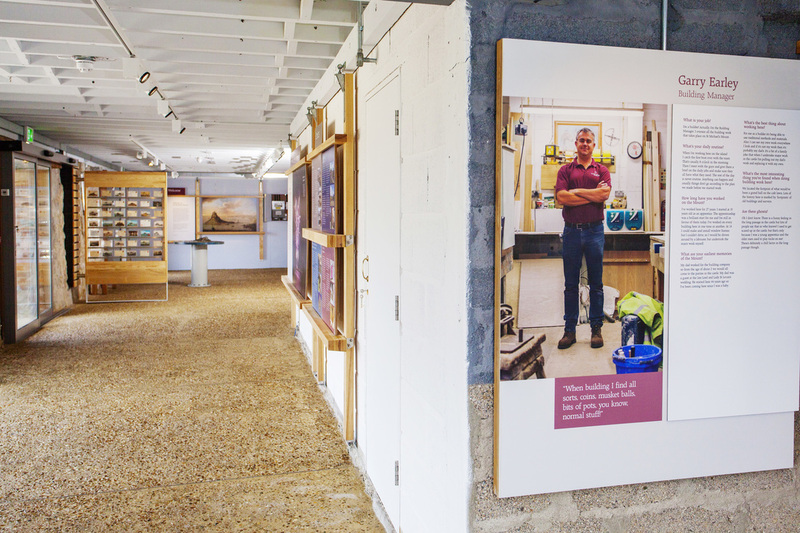 ​Drawing on its past life as a boat store our design solution was to use ash timber frames for the graphic displays of information and postcards. 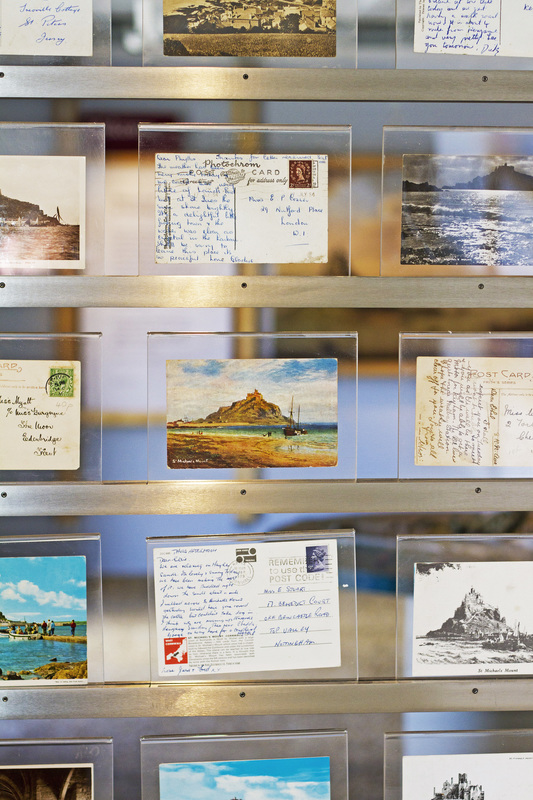 The frames hang off the walls allowing the main graphics to be quickly hinged up and fixed from the ceiling, saving them from the rising tides. 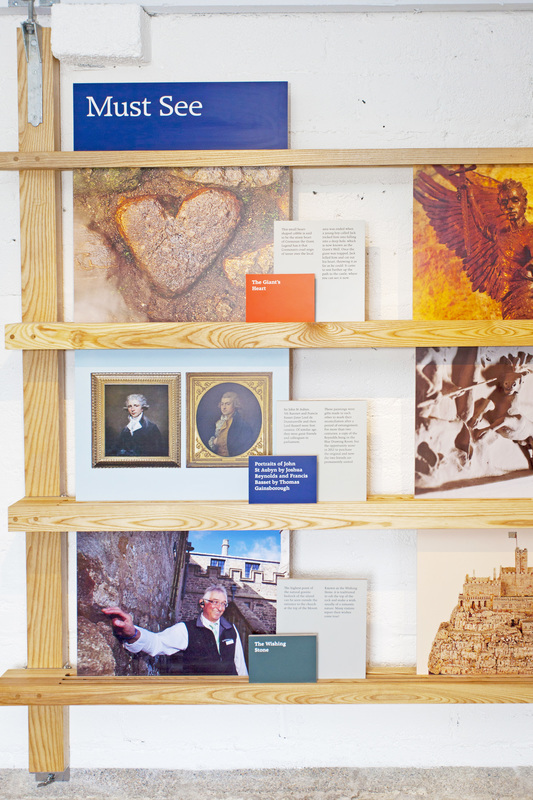 Slotted into the frames in a rhythmic system of layering and tonal change, the graphics provide interesting facts, a historical timeline, sections on the gardens and the castle, ’must sees’ and other information to help visitors plan their day. 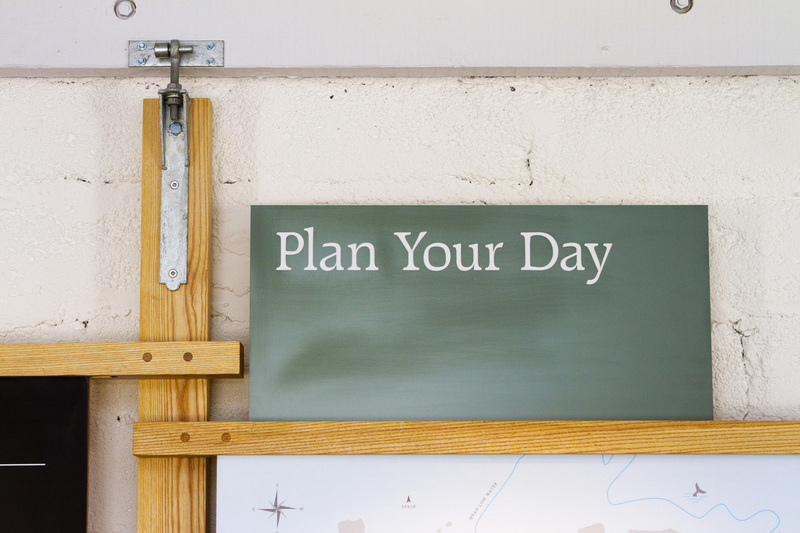 "I am so pleased that we appointed Skellon Studio to design and deliver this project for us. Katherine and Jeff (from Planning Unit) were an absolute joy to work with. They were flexible, they understood what we were trying to achieve even before we did, and they led us through the process in an easy, gentle and focused way. The end result is amazing, beautiful, innovative and informative. And our visitors love it! I don't hesitate at all to recommend them."